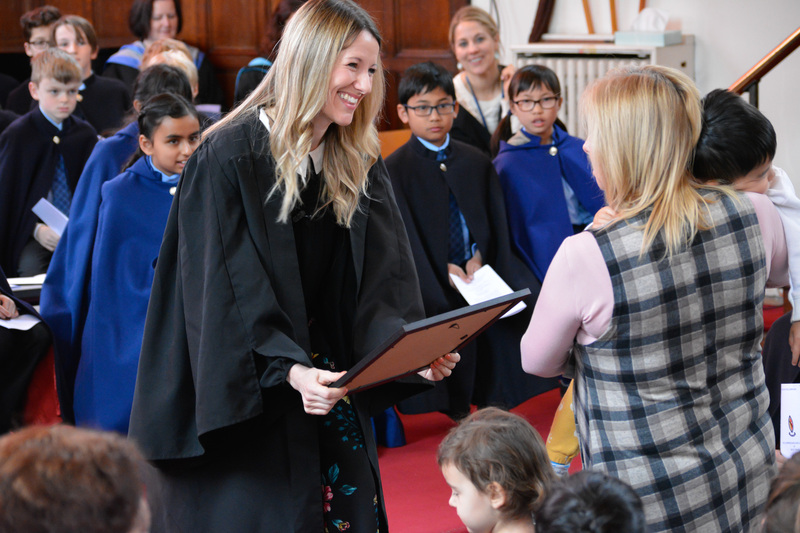 Home | News & Events | Latest News | Buttons Nursery | Welcome to our New Chaplain! 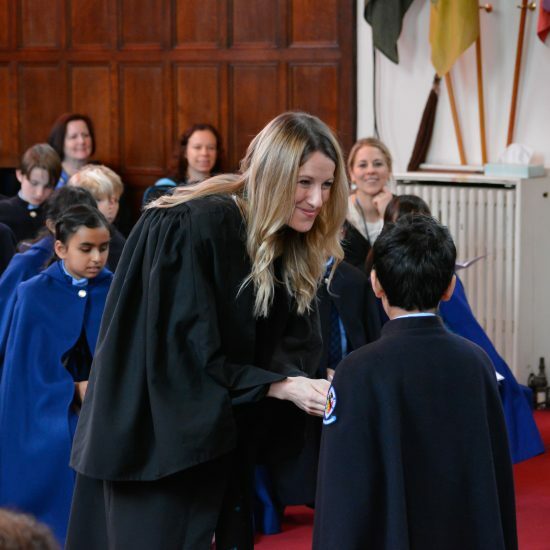 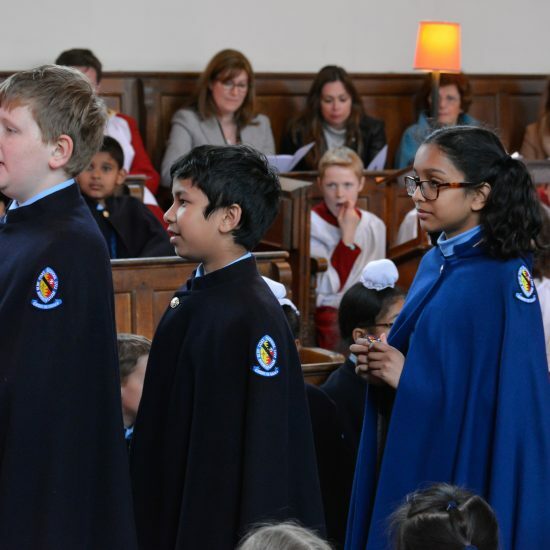 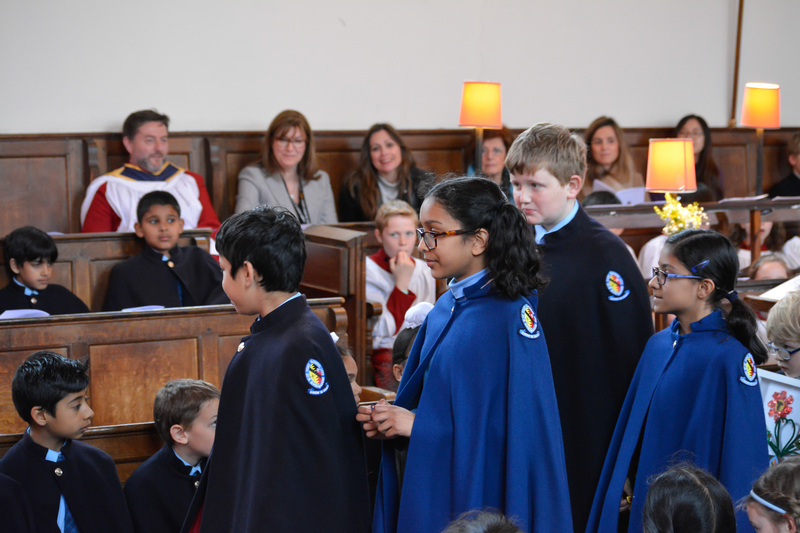 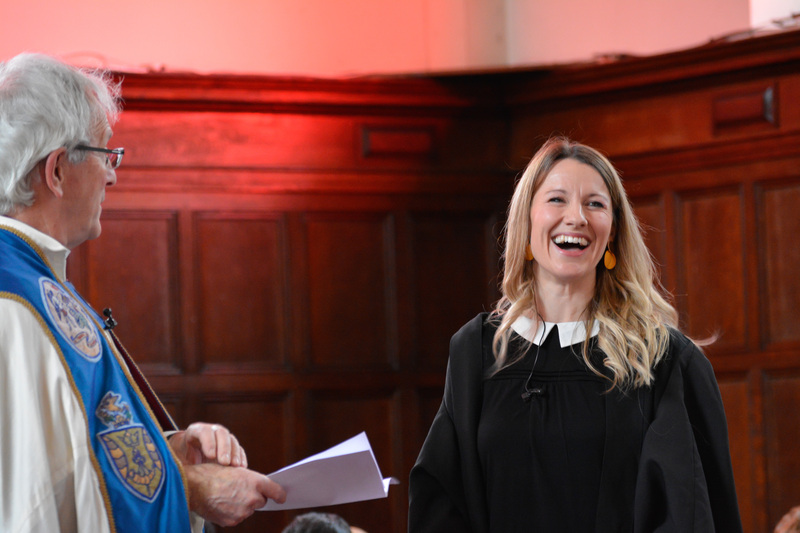 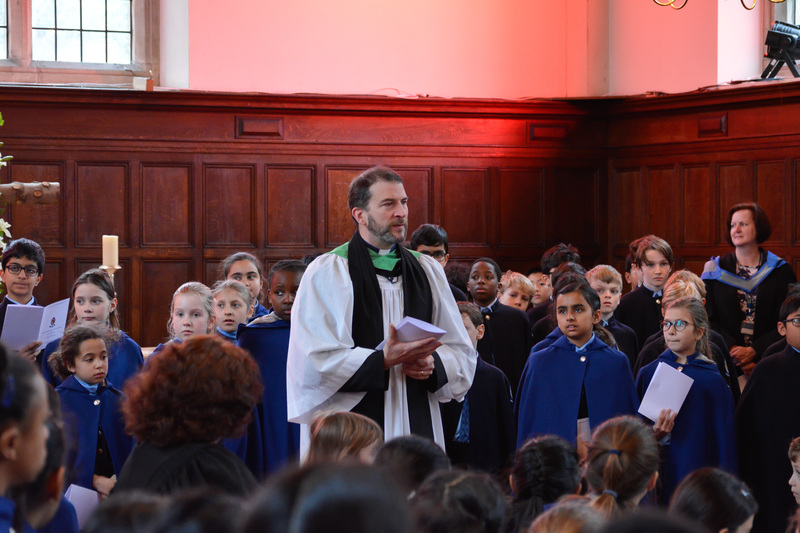 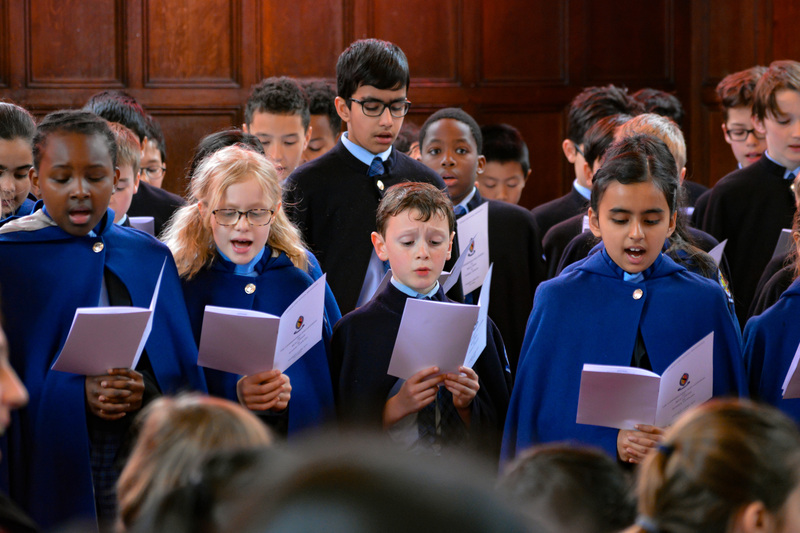 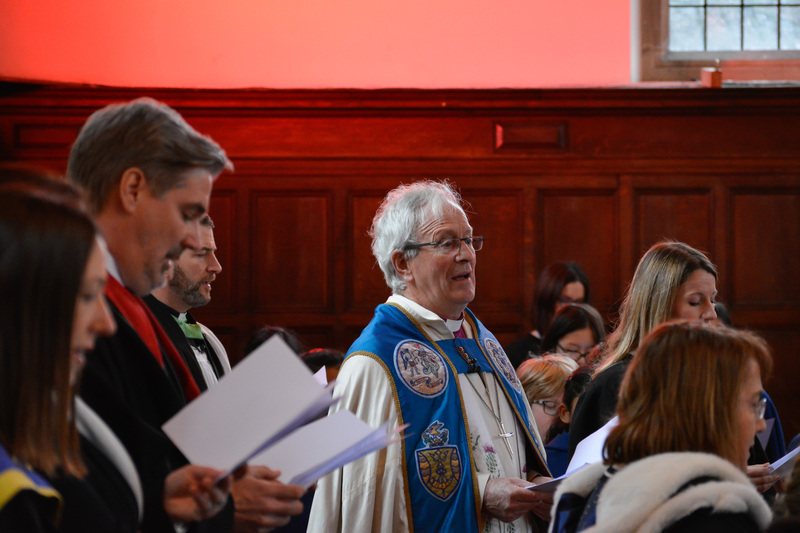 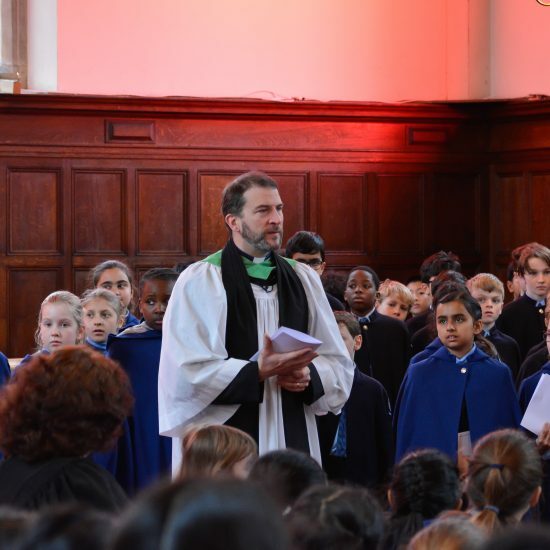 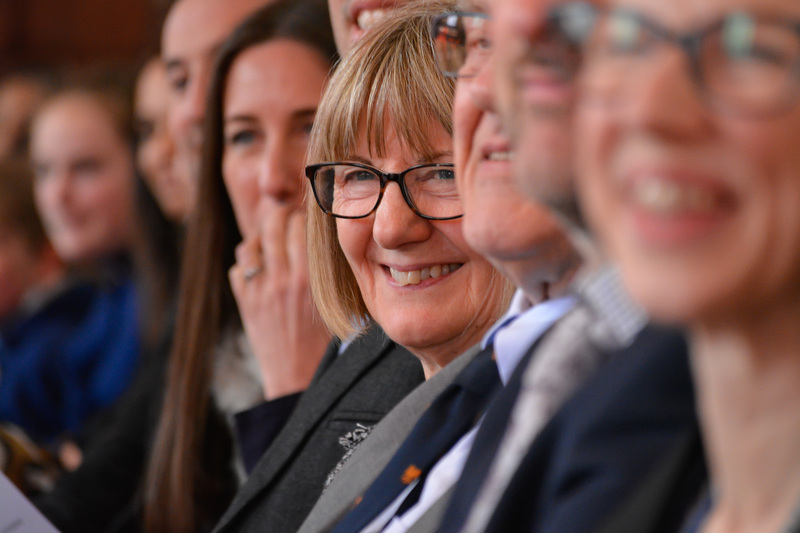 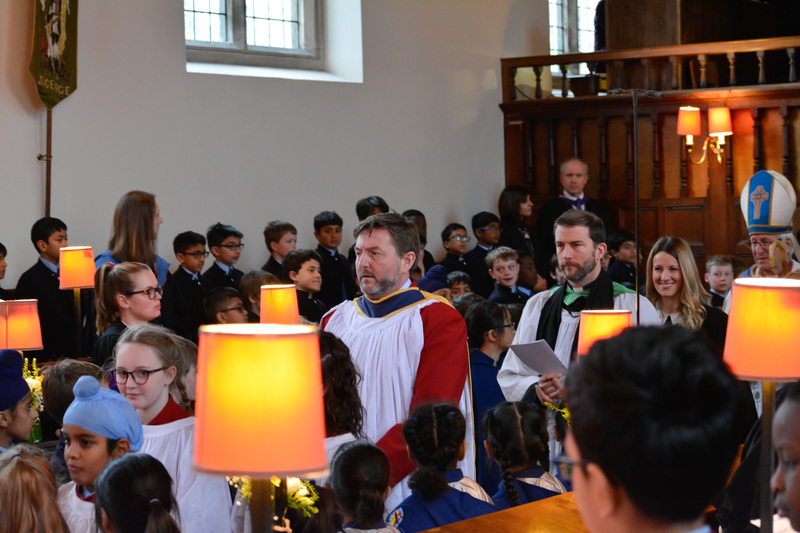 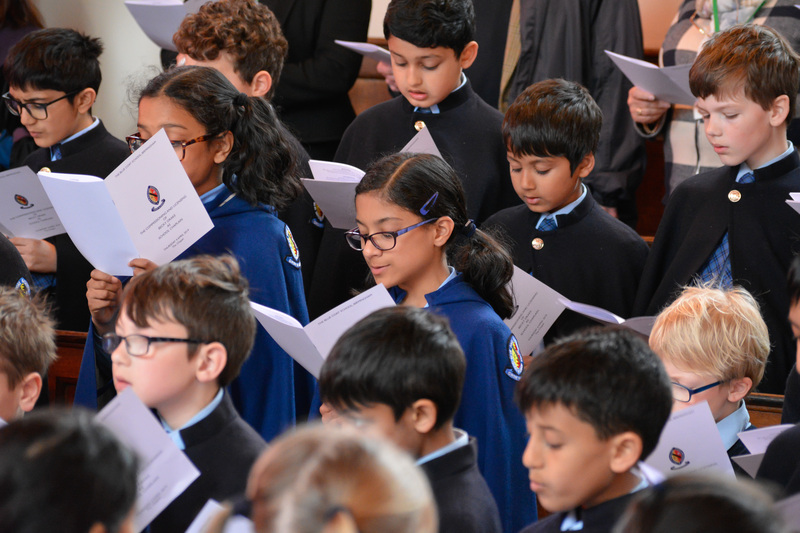 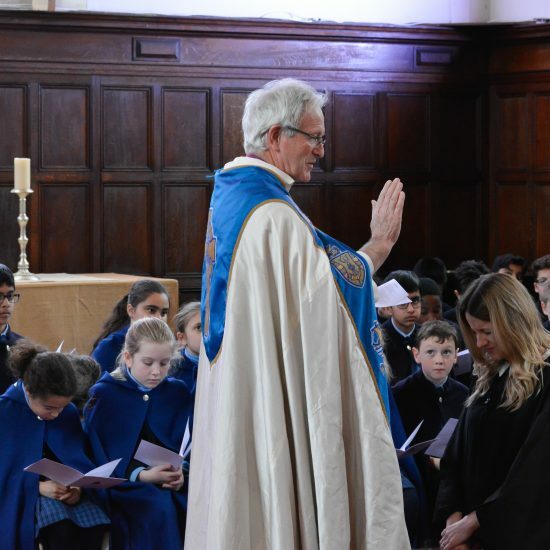 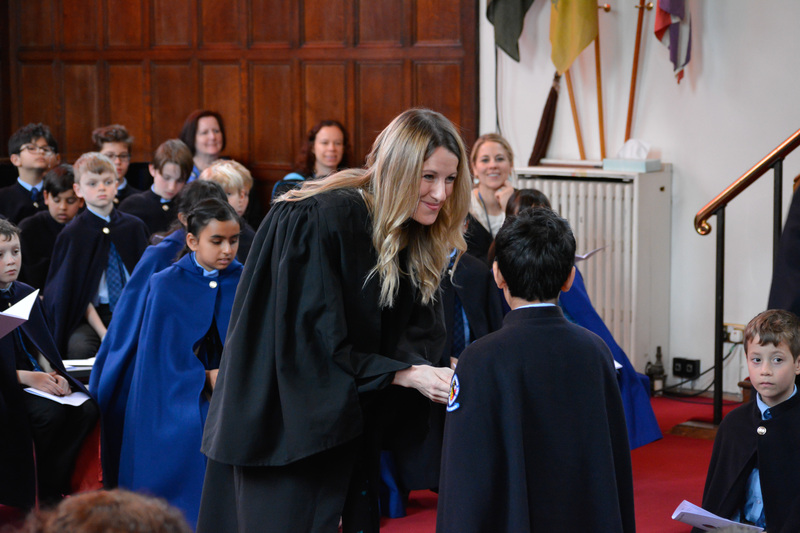 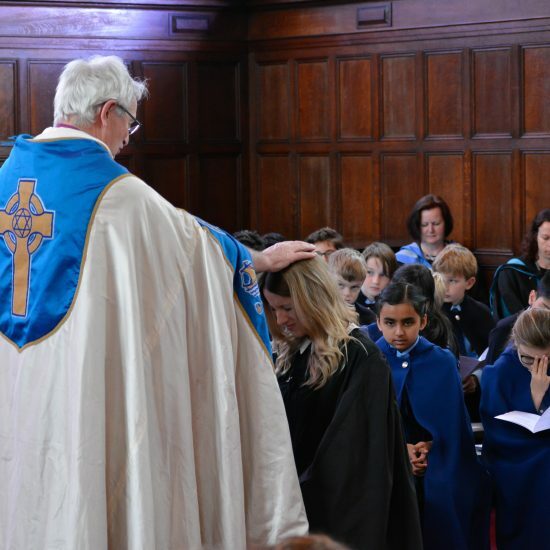 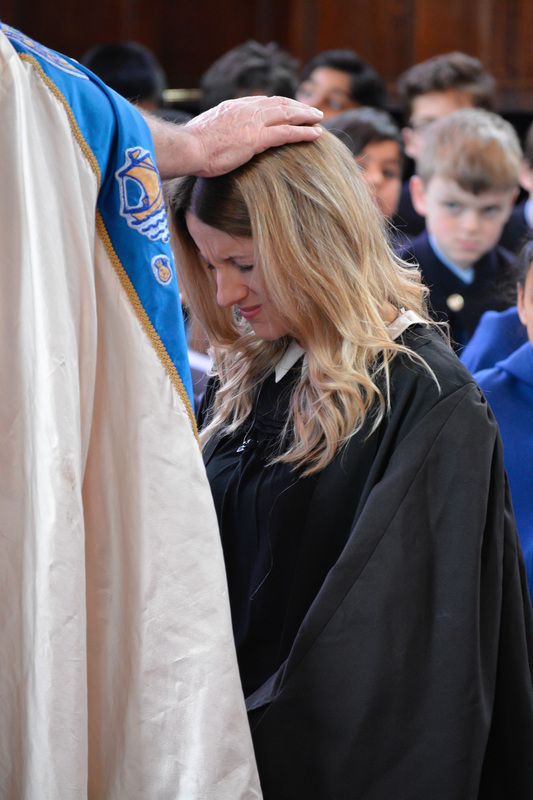 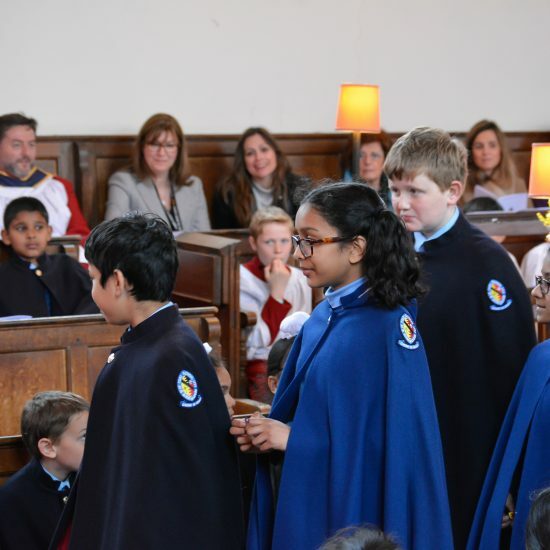 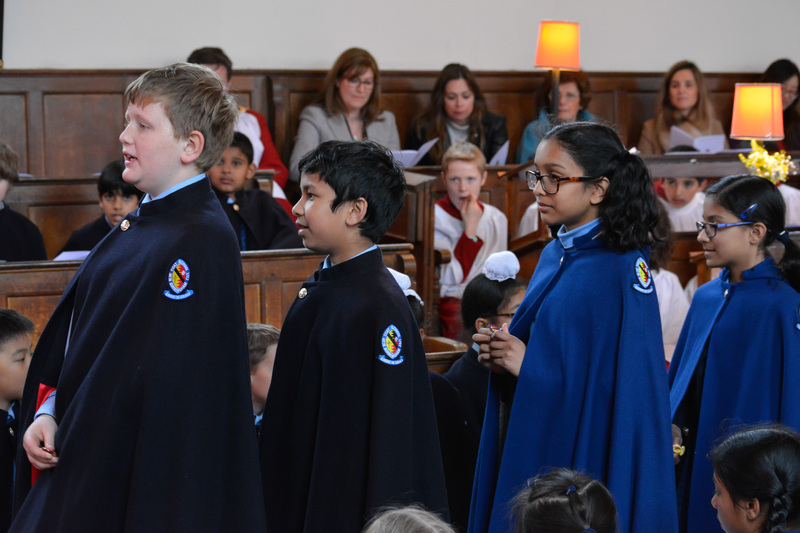 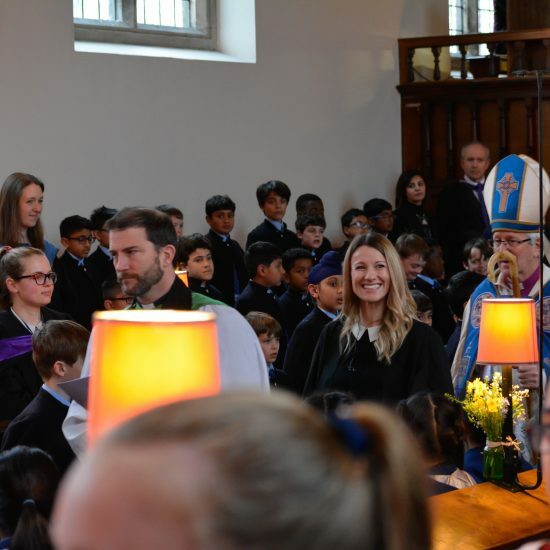 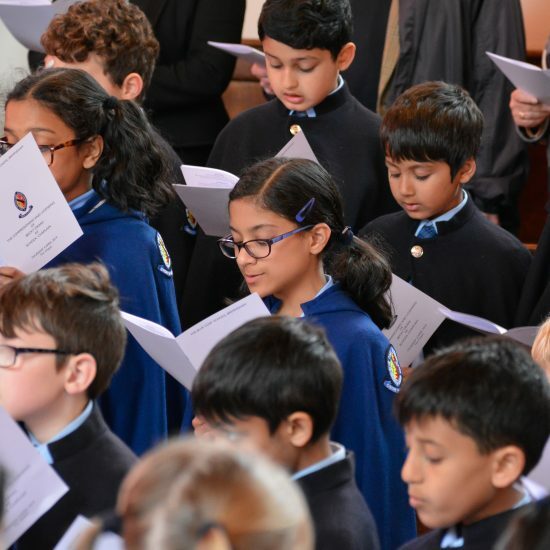 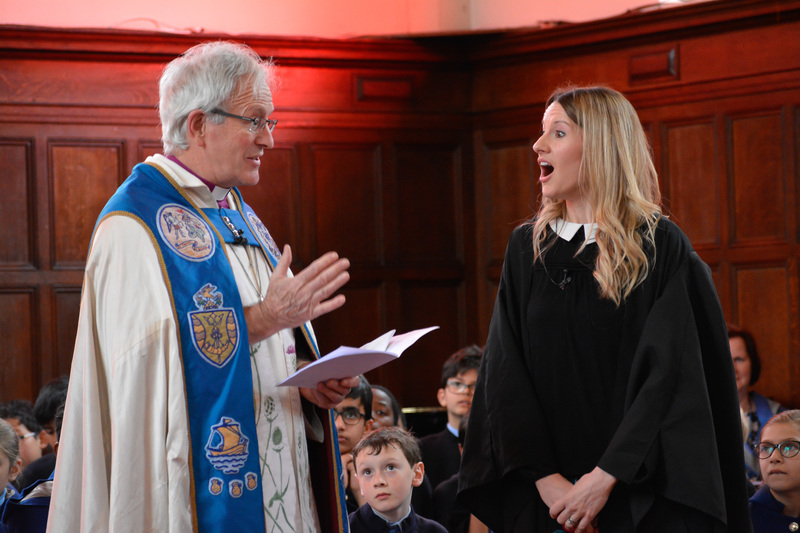 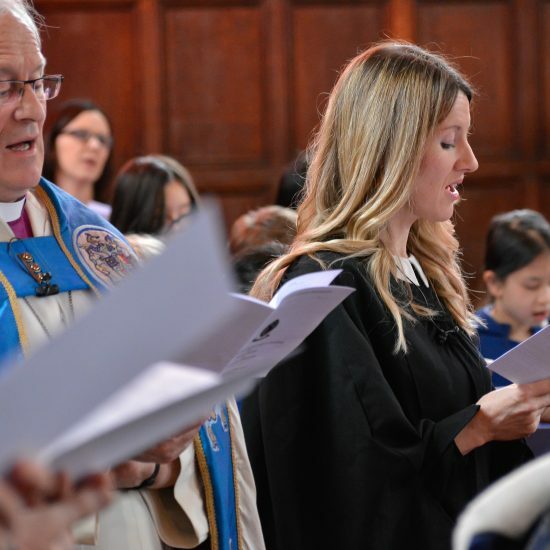 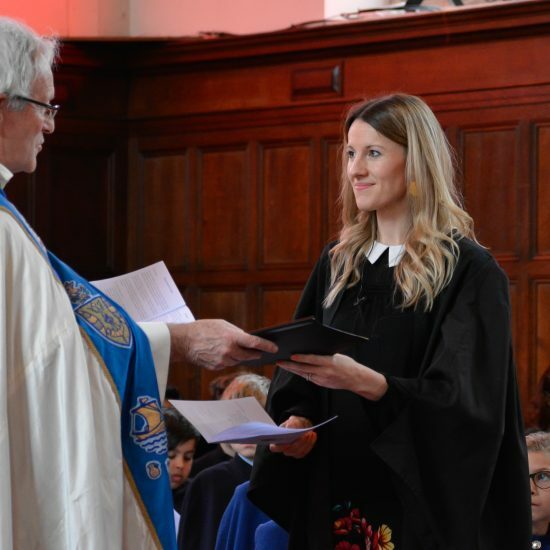 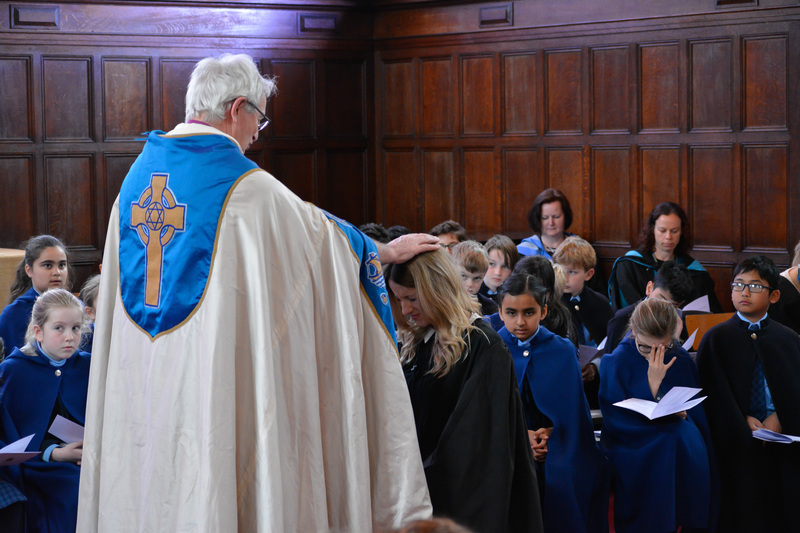 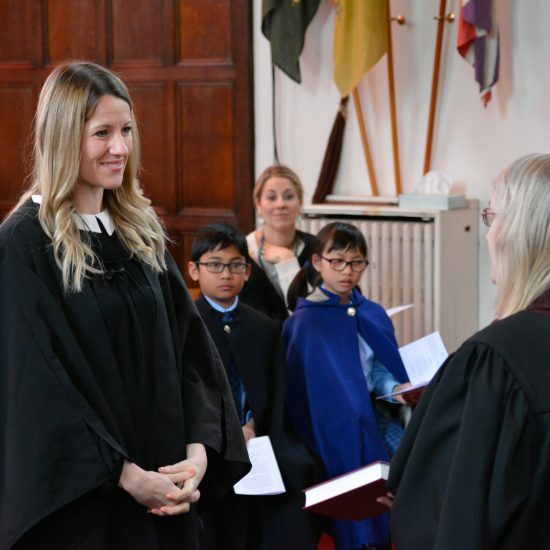 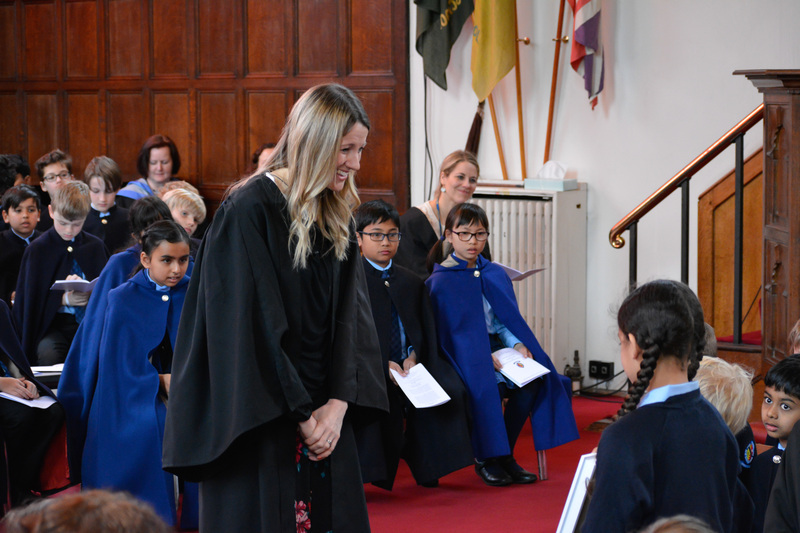 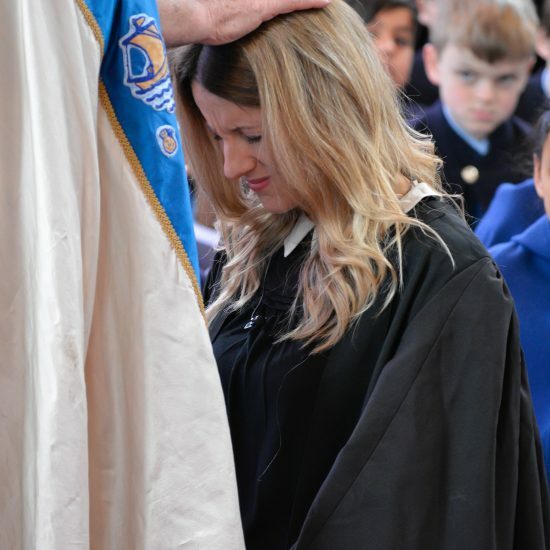 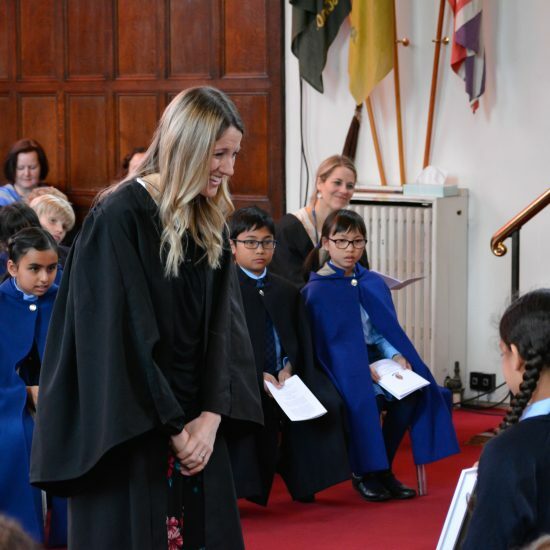 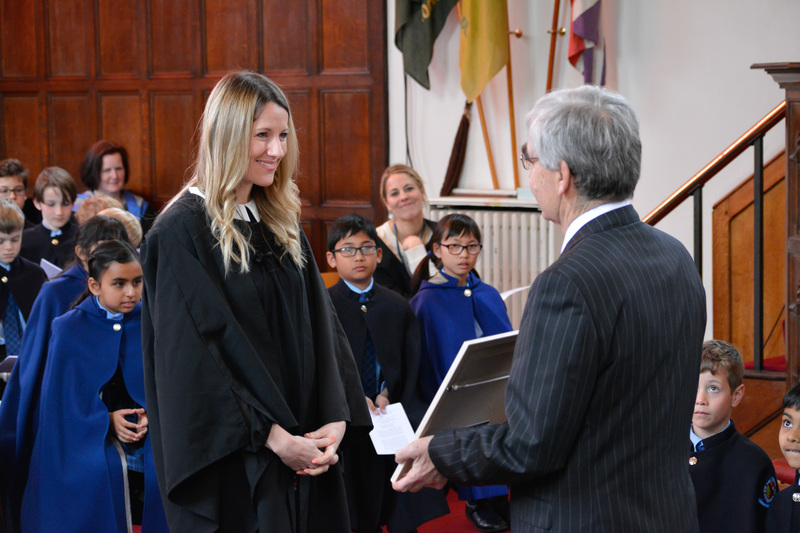 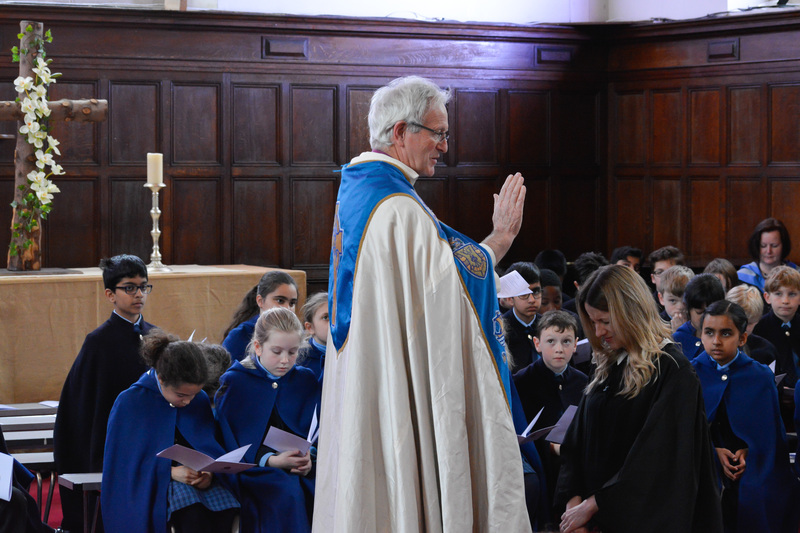 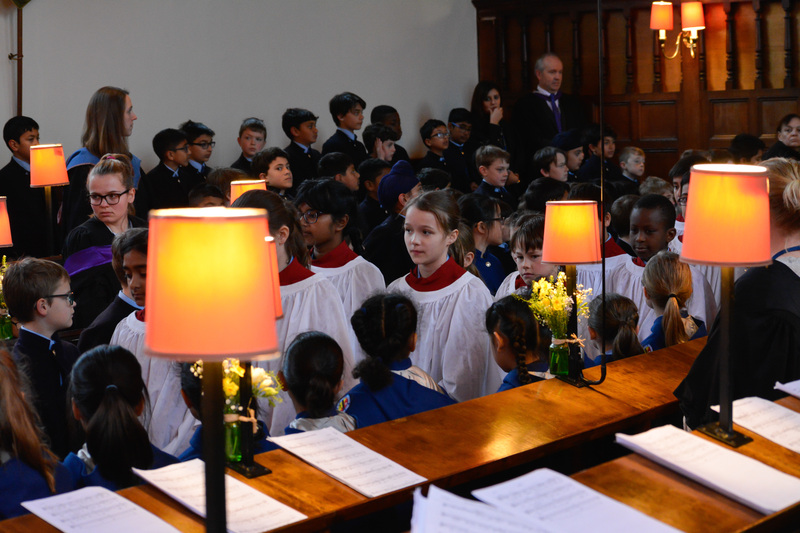 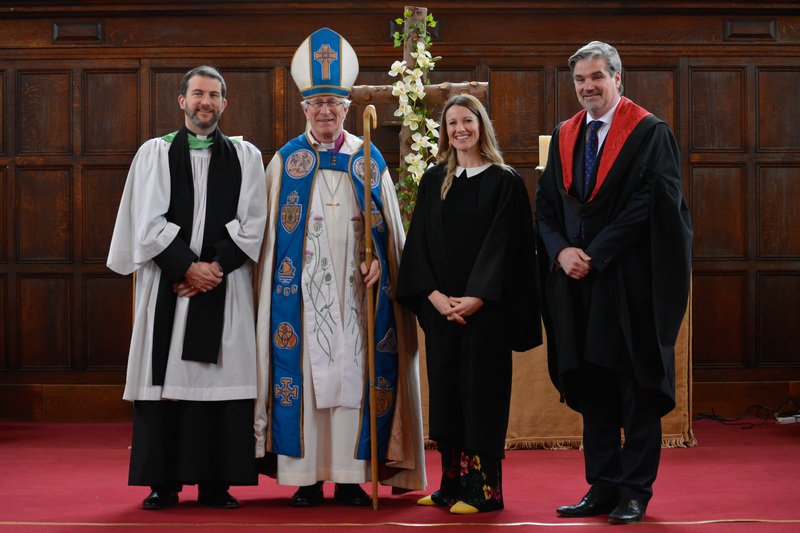 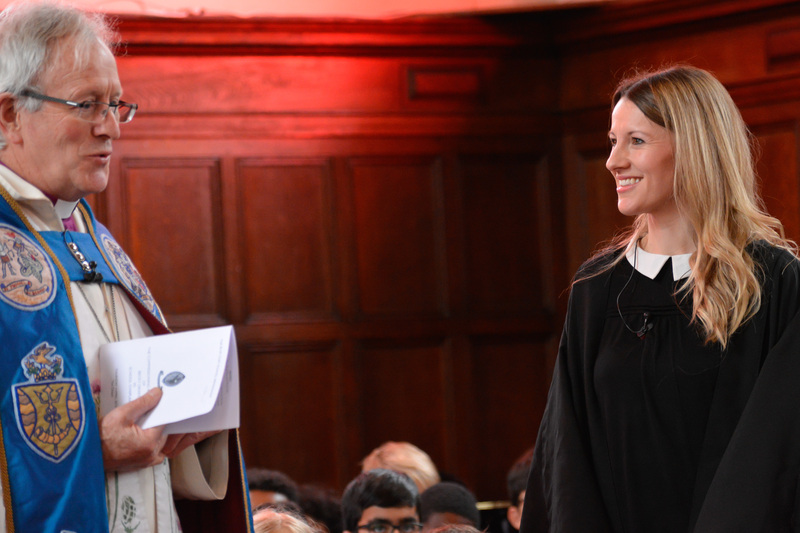 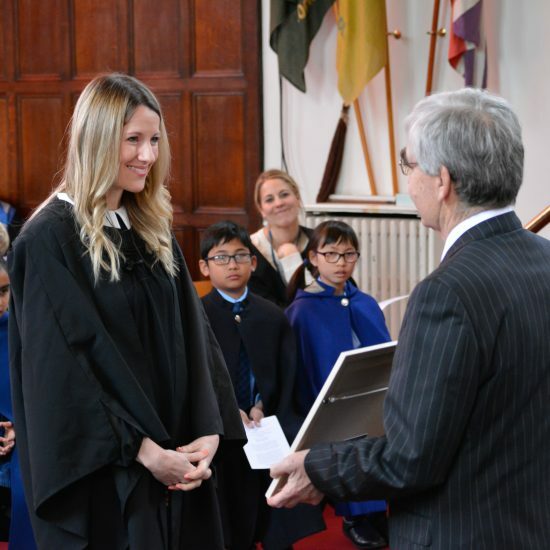 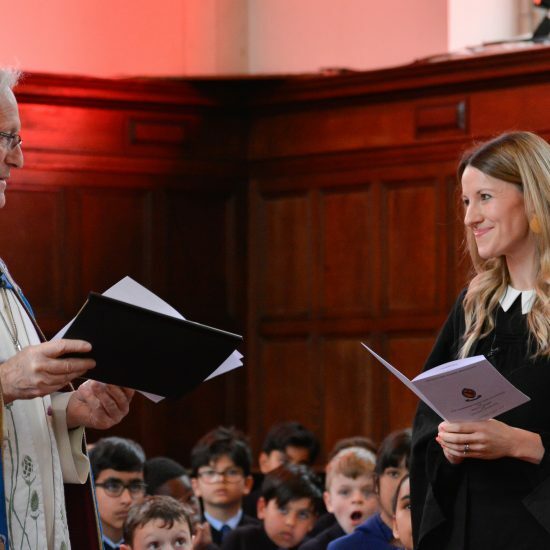 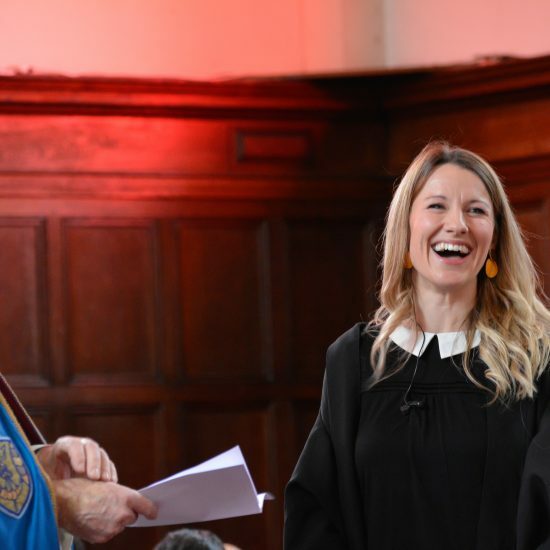 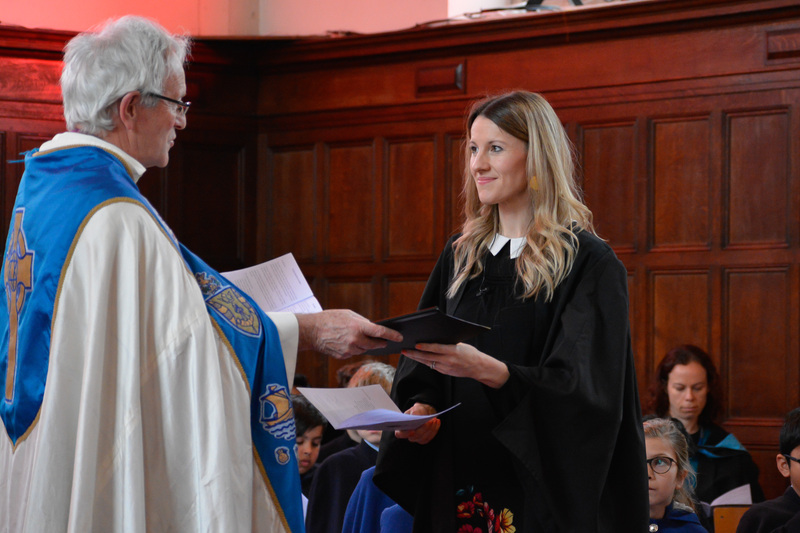 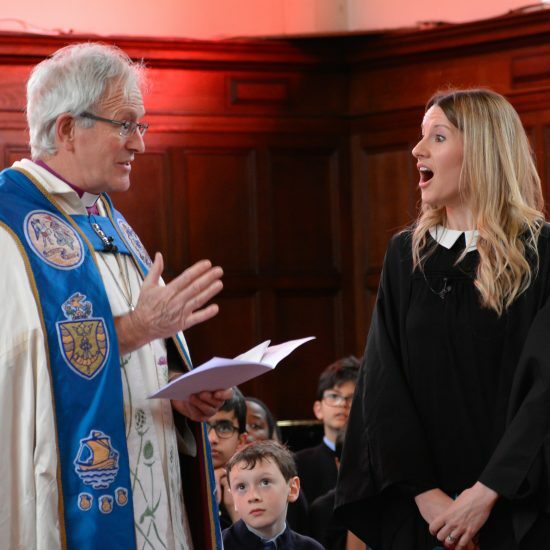 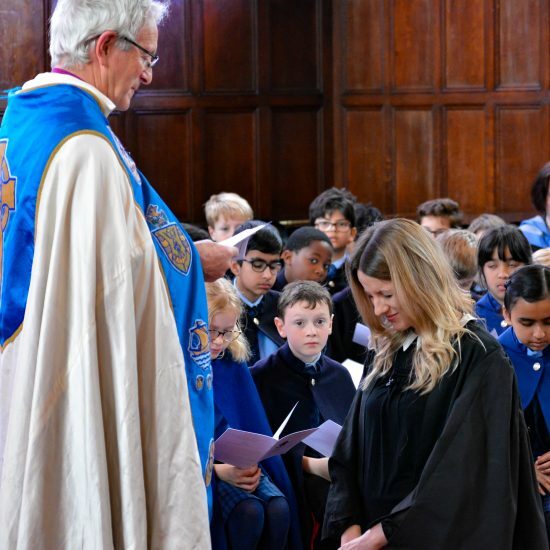 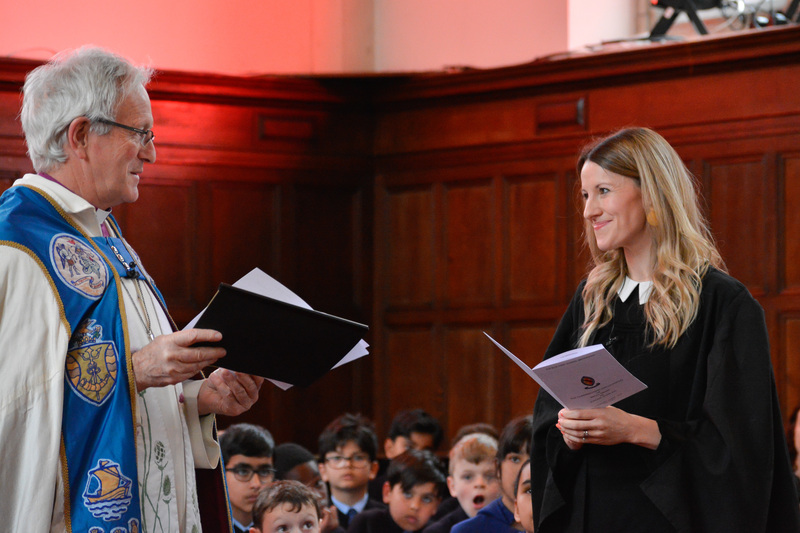 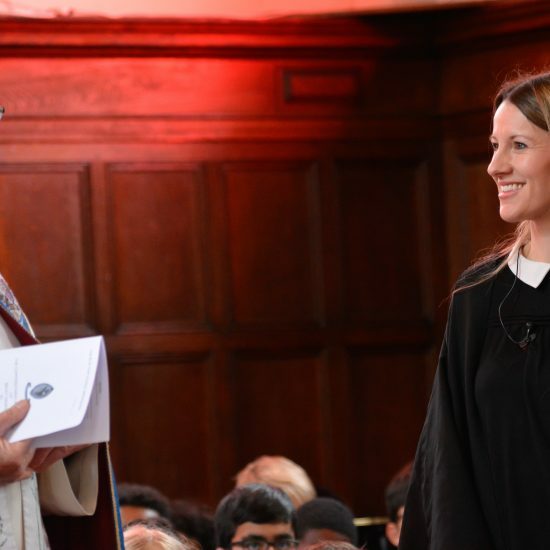 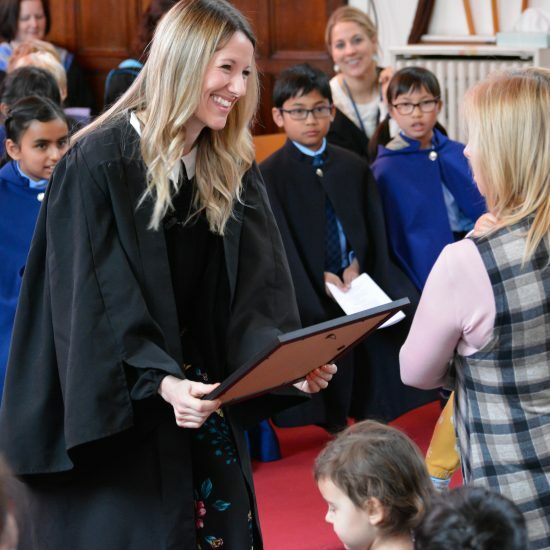 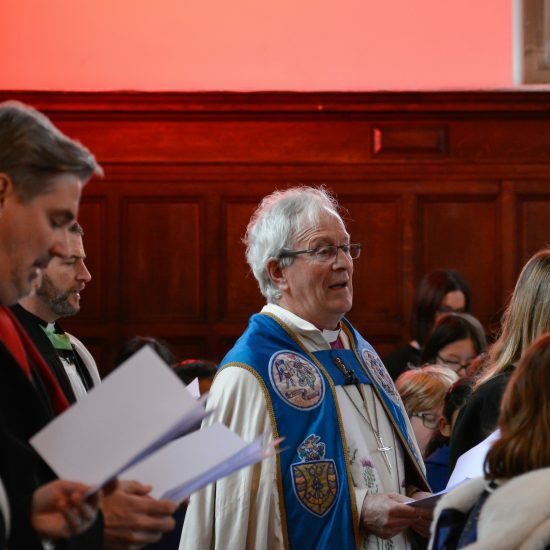 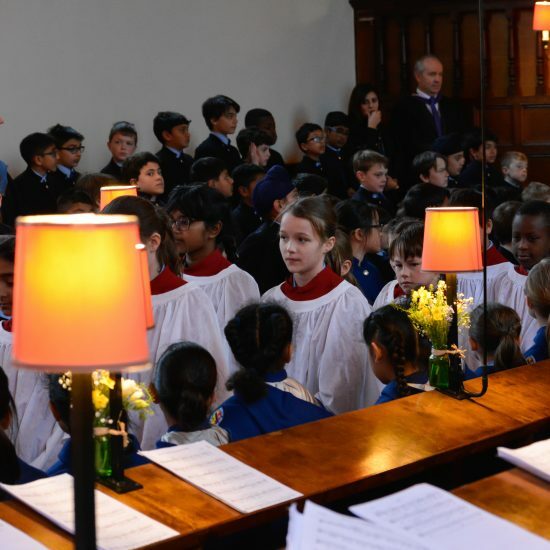 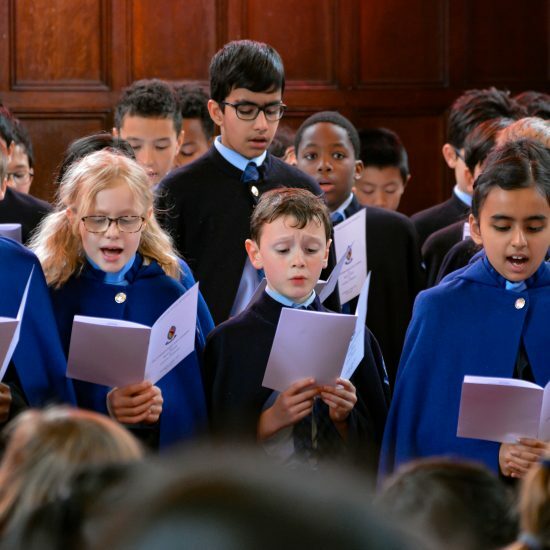 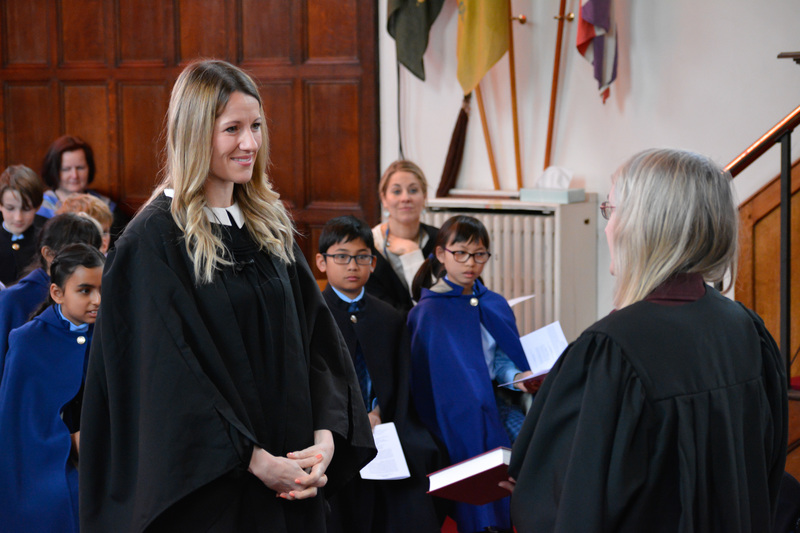 A packed Blue Coat School Chapel resounded to shouts of welcome yesterday as the Lord Bishop of Birmingham formally introduced our new Chaplain Becky Drake. 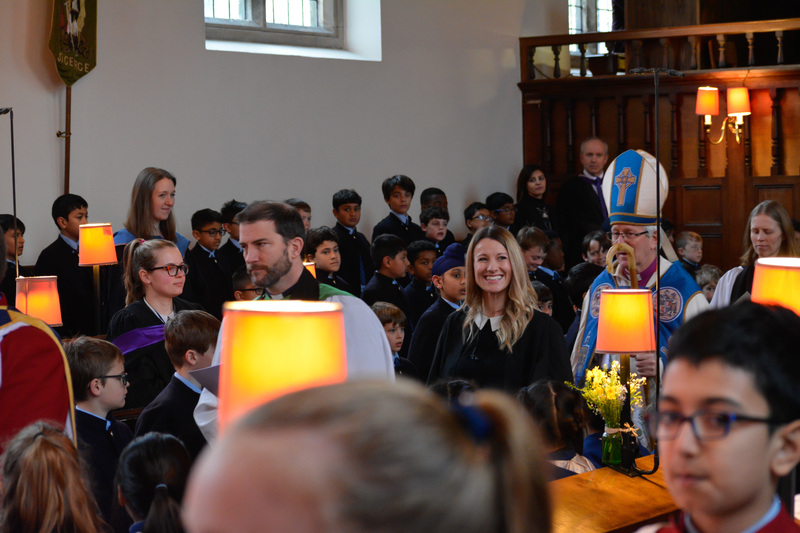 The gathered pupils, staff, governors and a number of parents (including Becky’s) were given the opportunity to get to know both Becky and her “other boss” the Bishop. 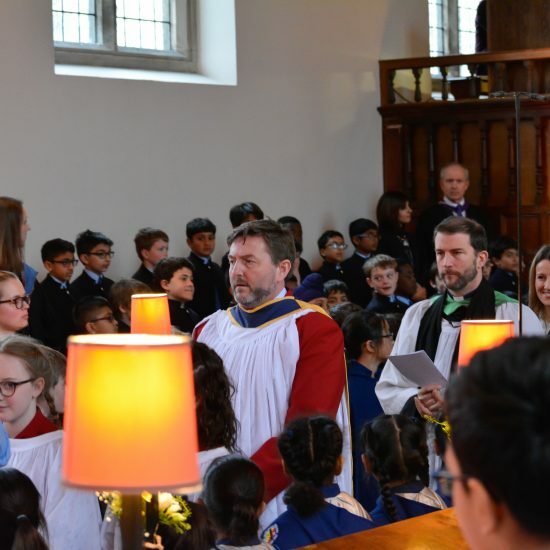 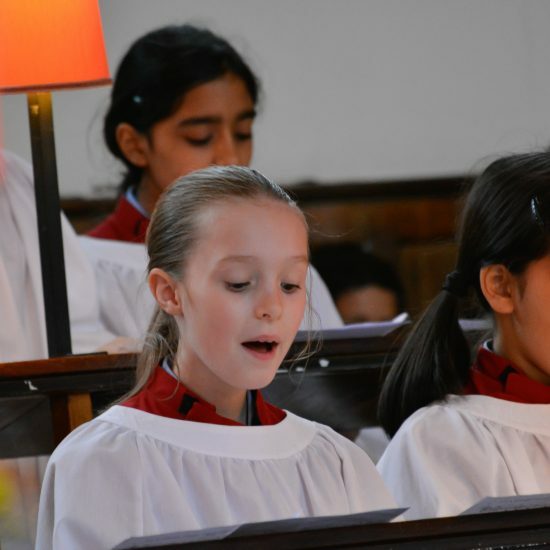 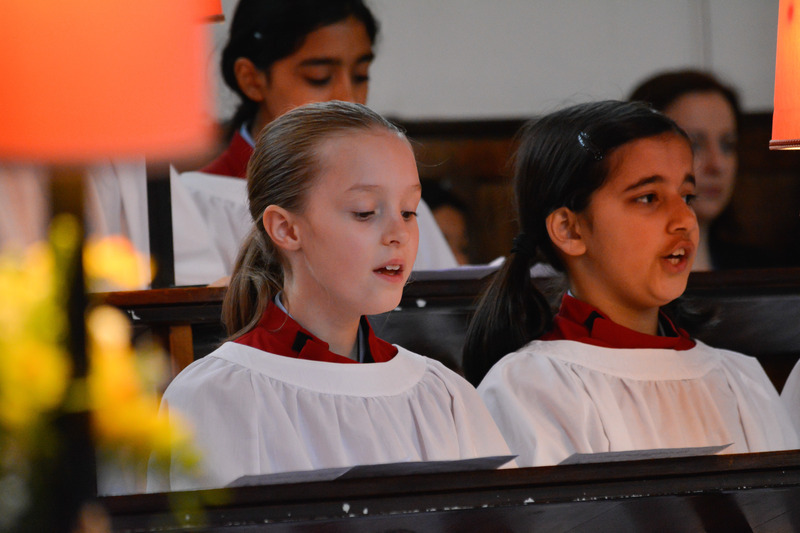 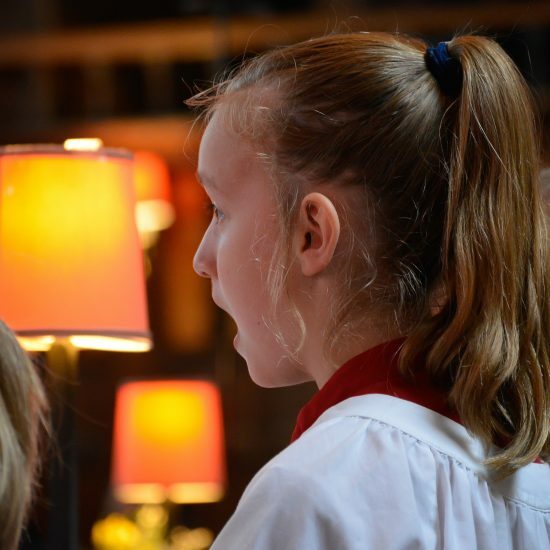 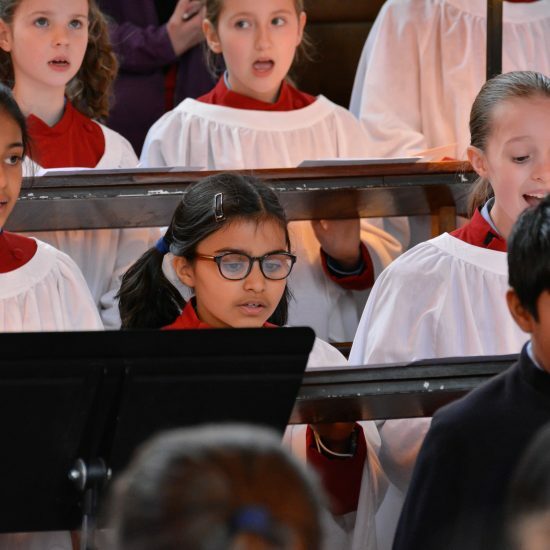 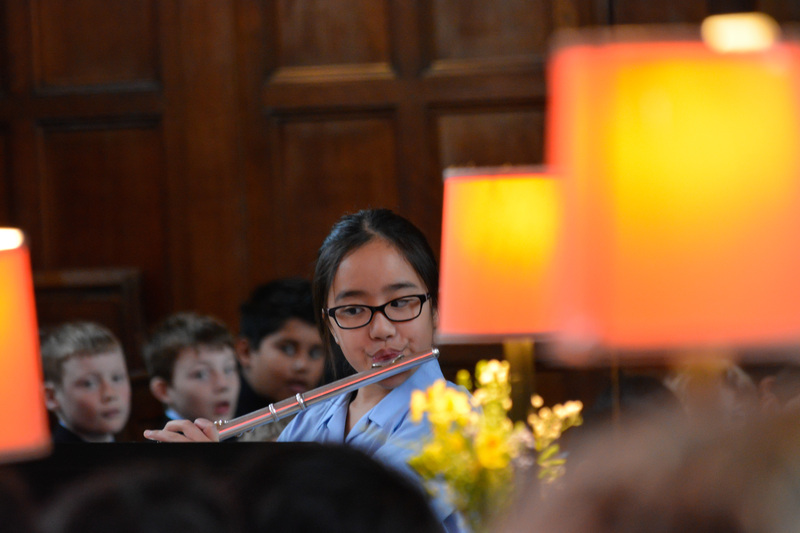 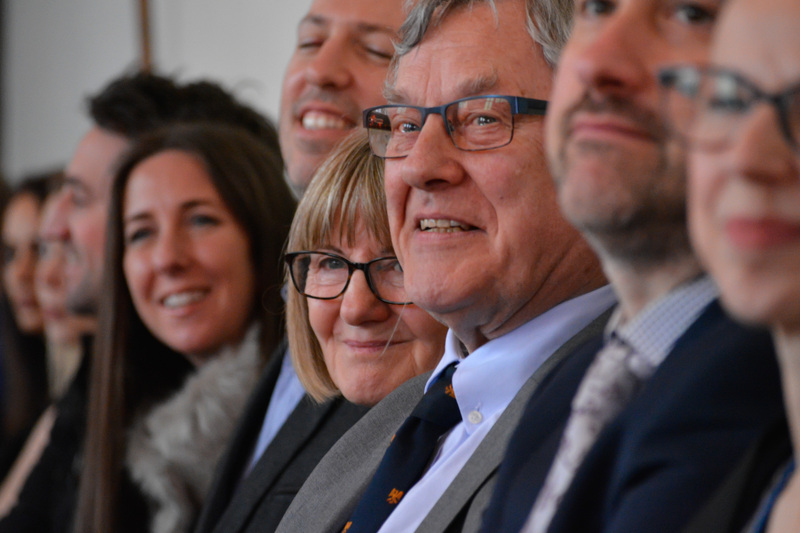 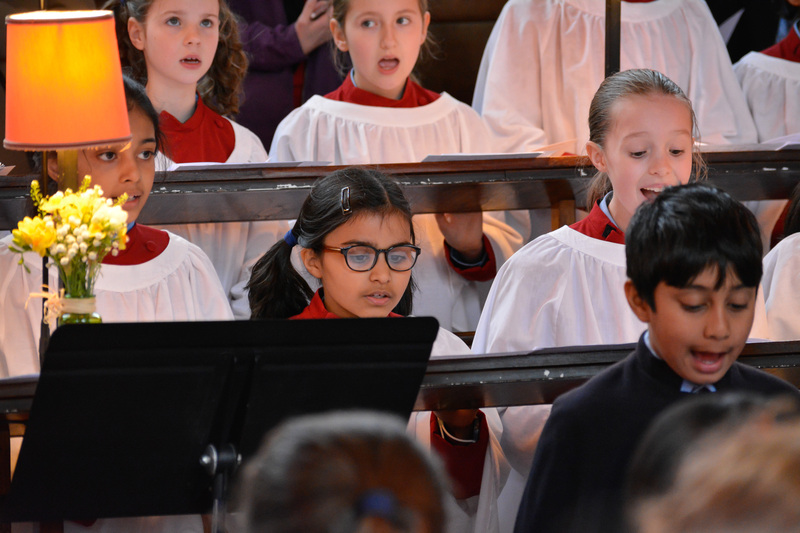 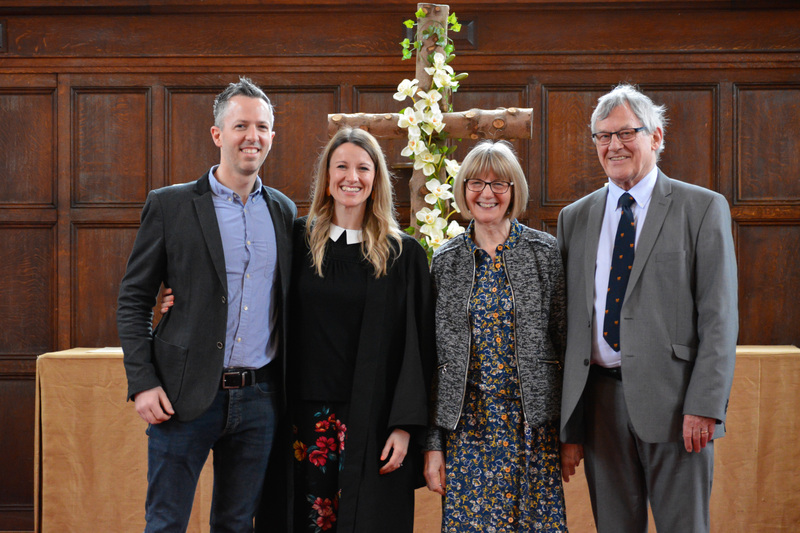 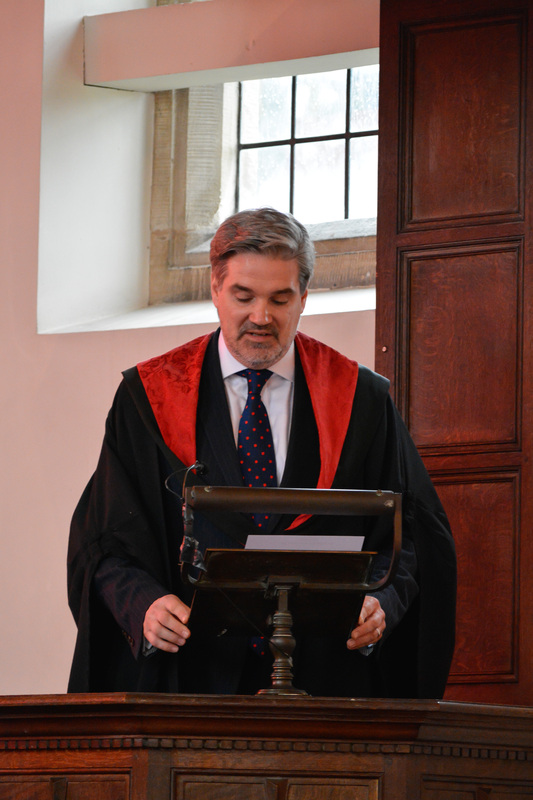 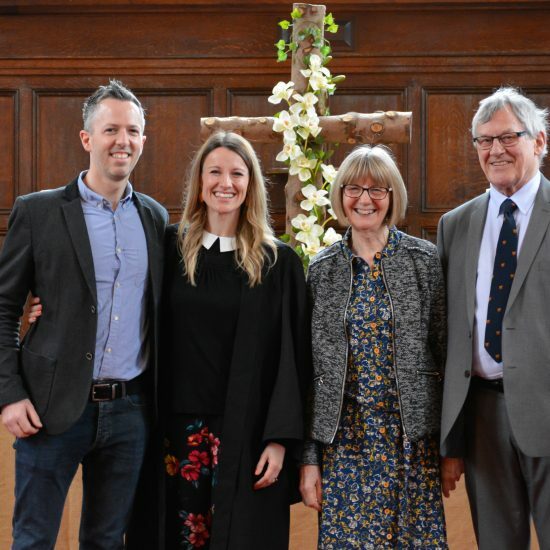 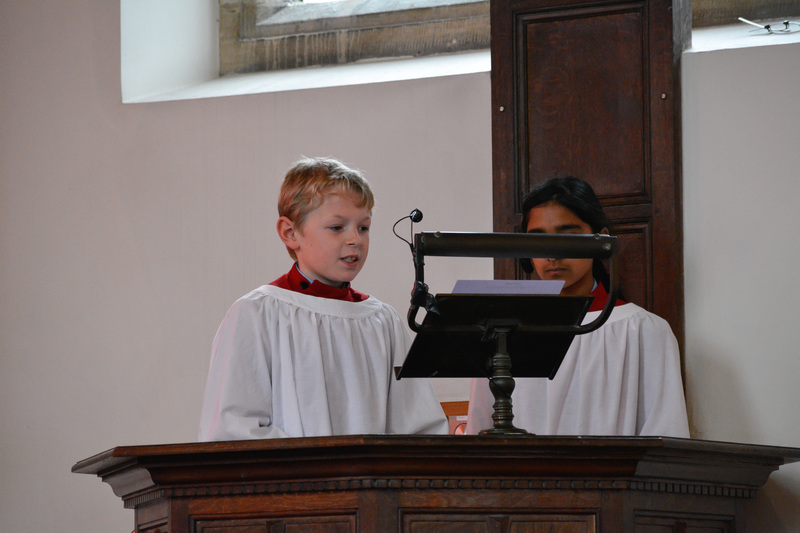 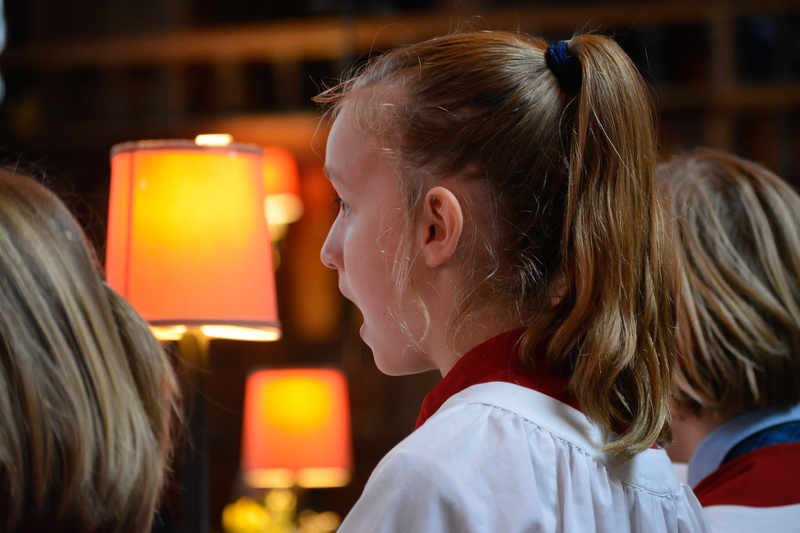 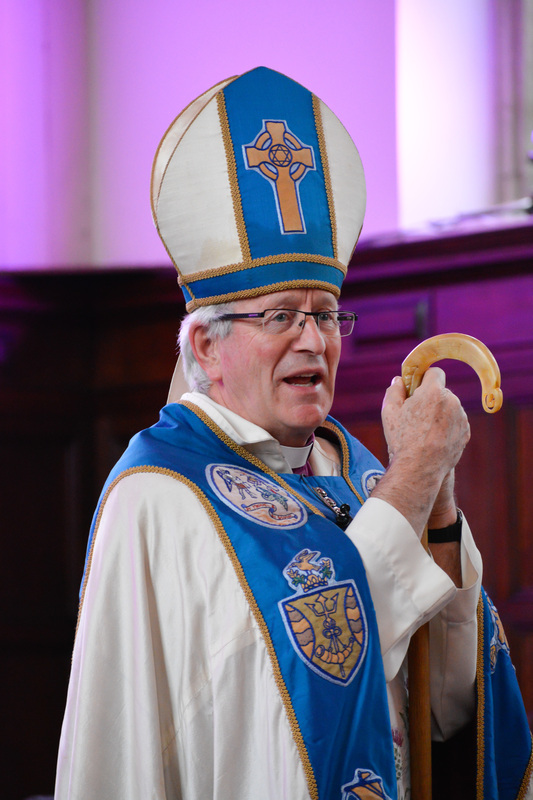 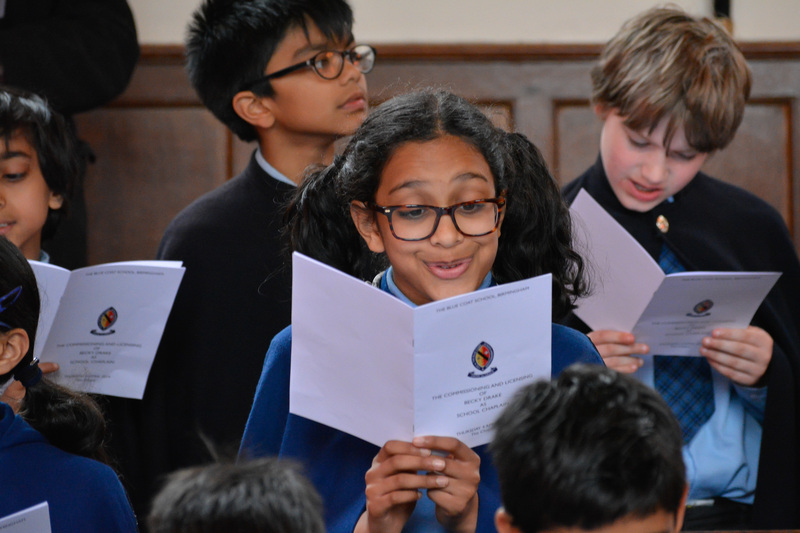 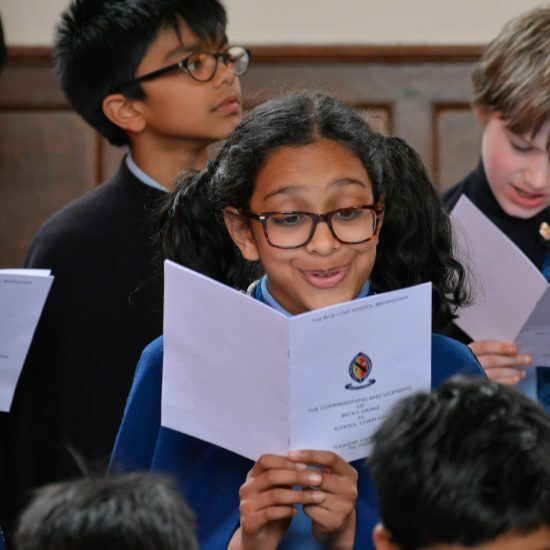 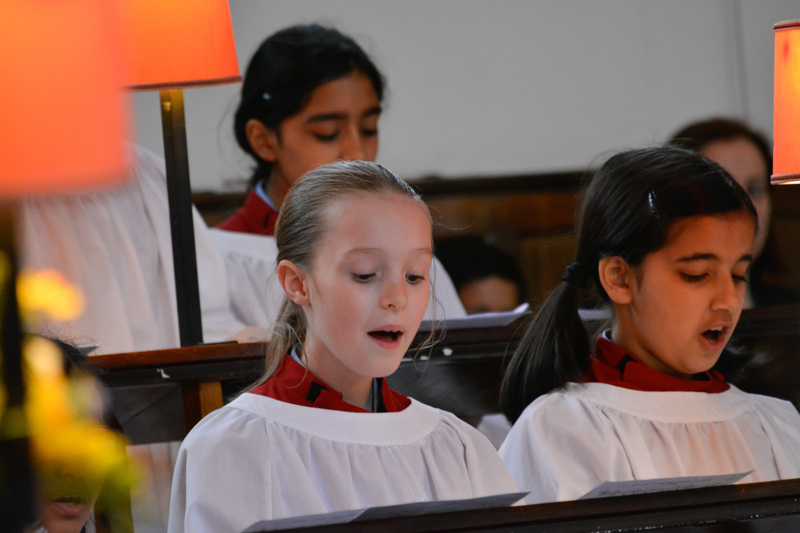 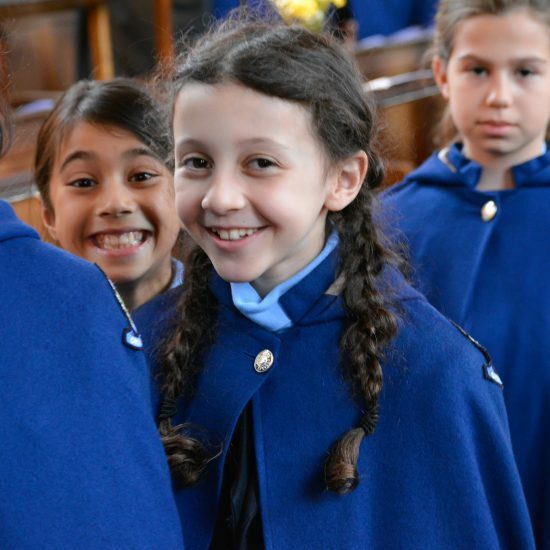 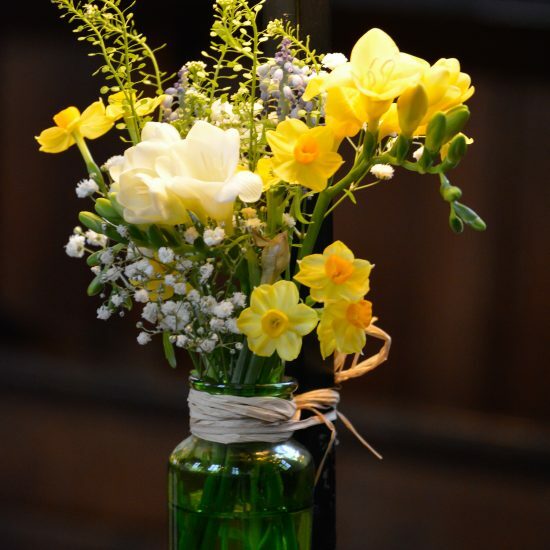 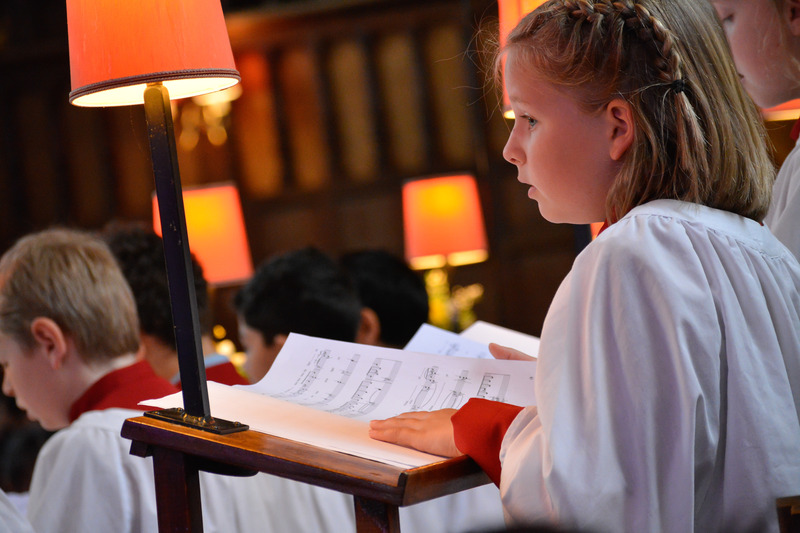 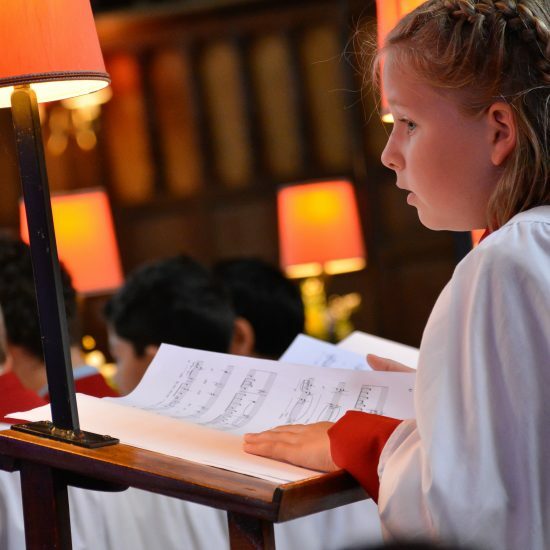 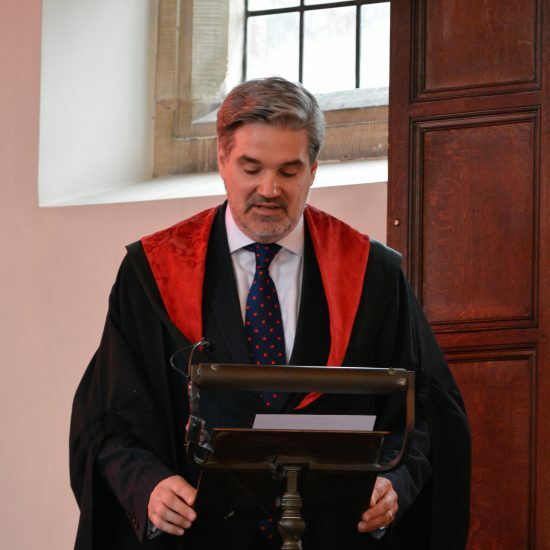 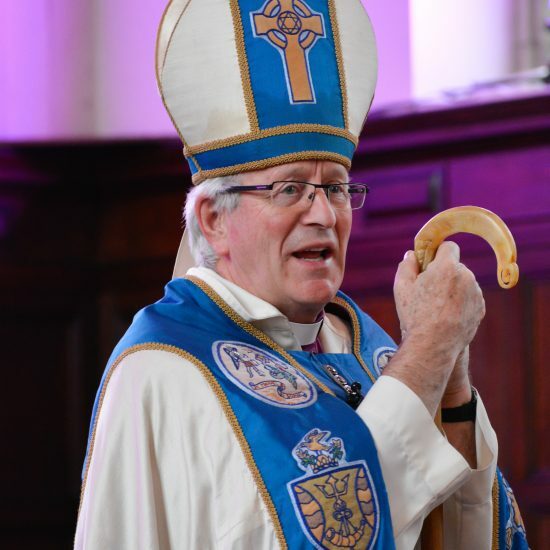 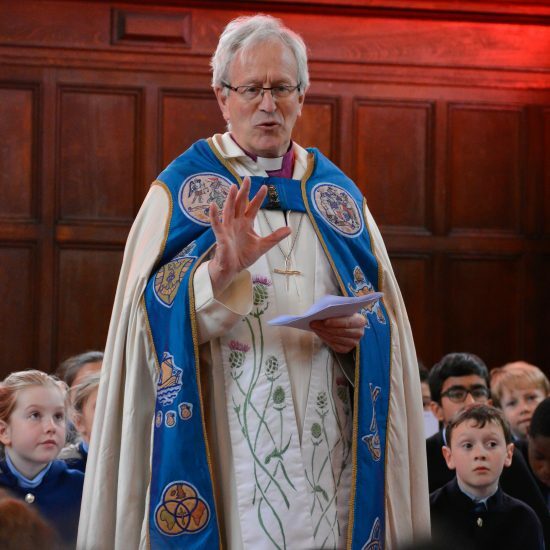 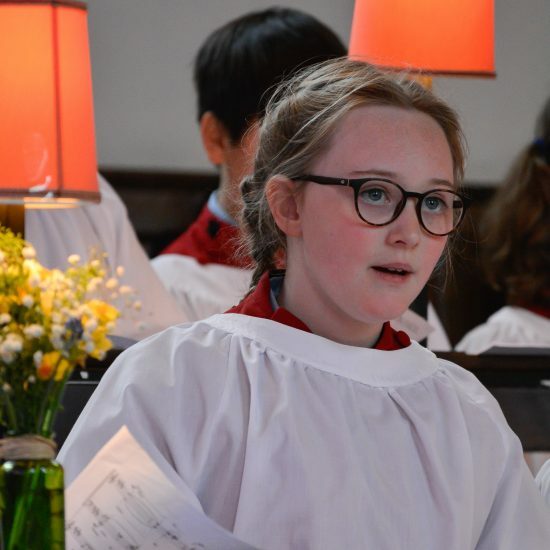 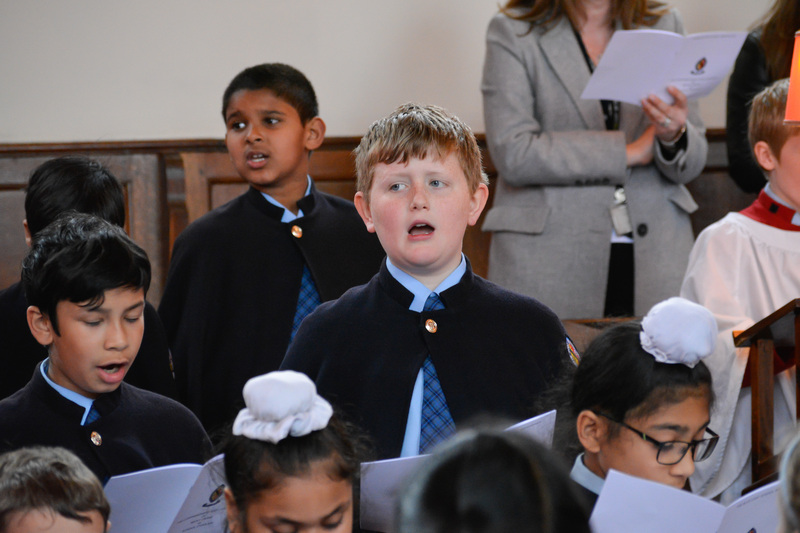 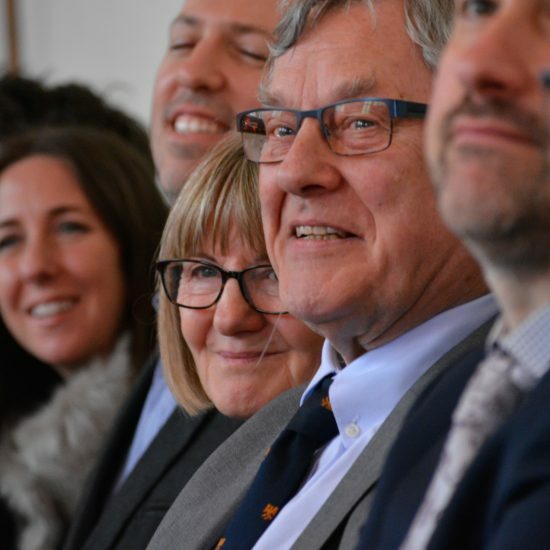 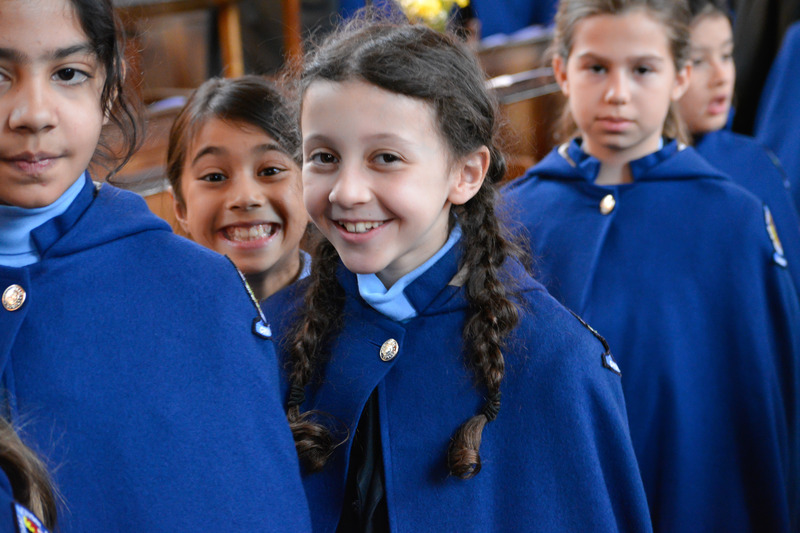 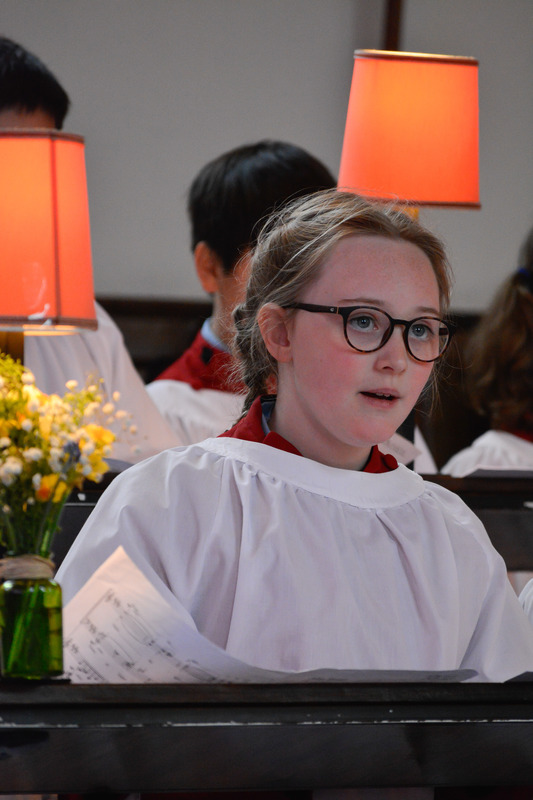 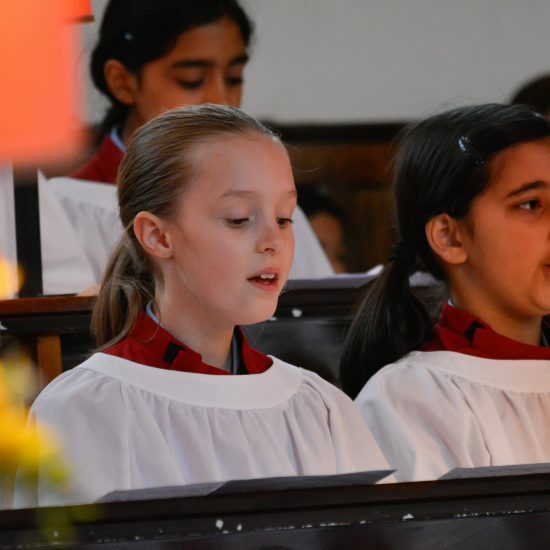 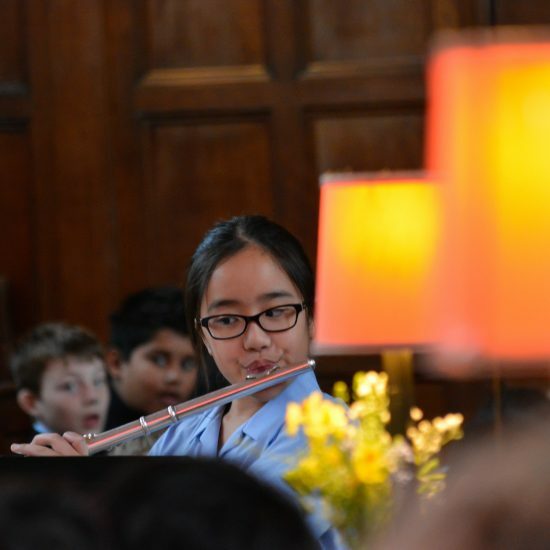 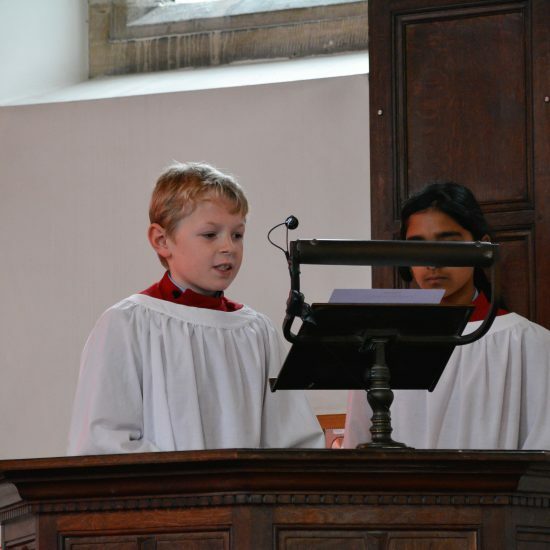 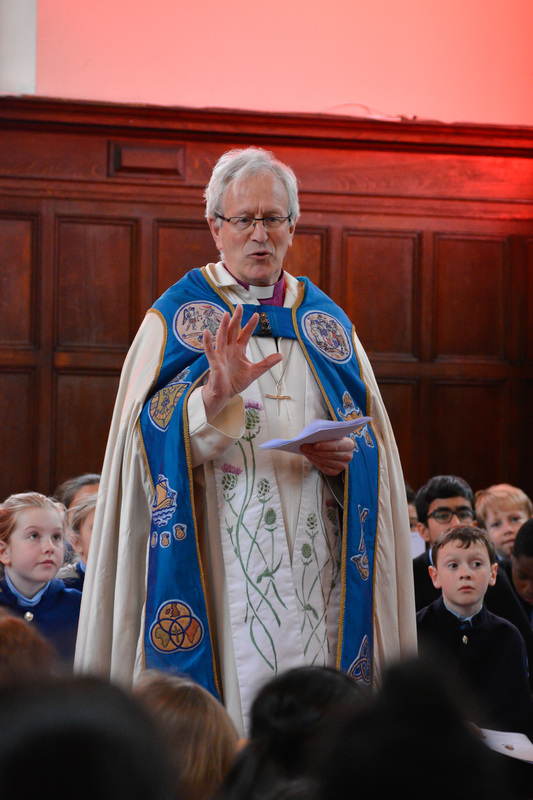 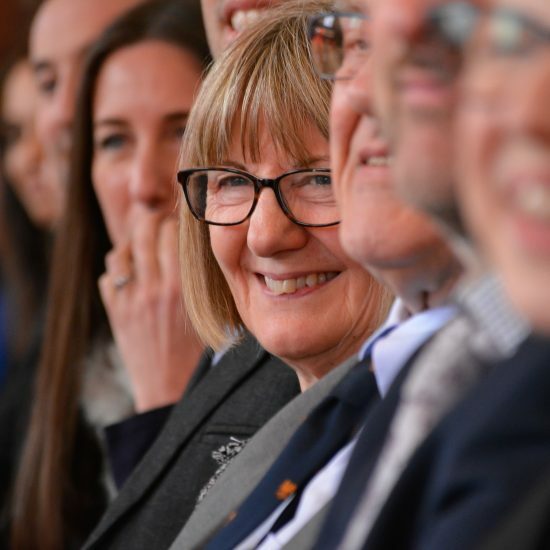 Amongst other things, we found out about Becky’s worst ever birthday present and the Bishop’s glittering schoolboy rugby career, but we also heard from both about their inspiring vision for the chapel and the chaplain for the life of the school. 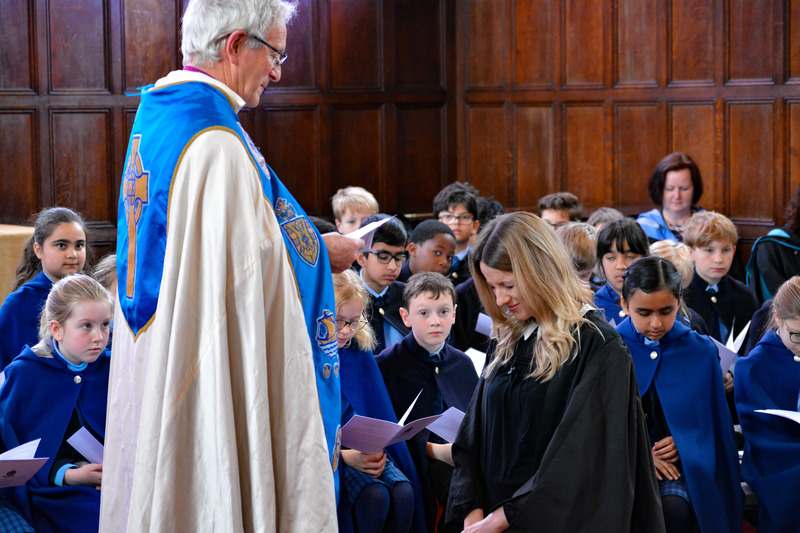 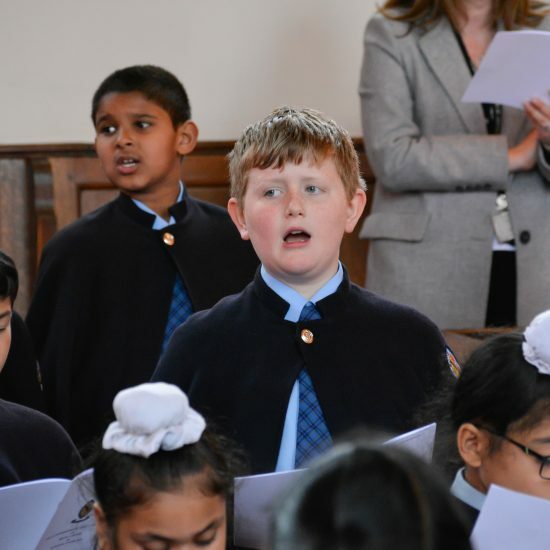 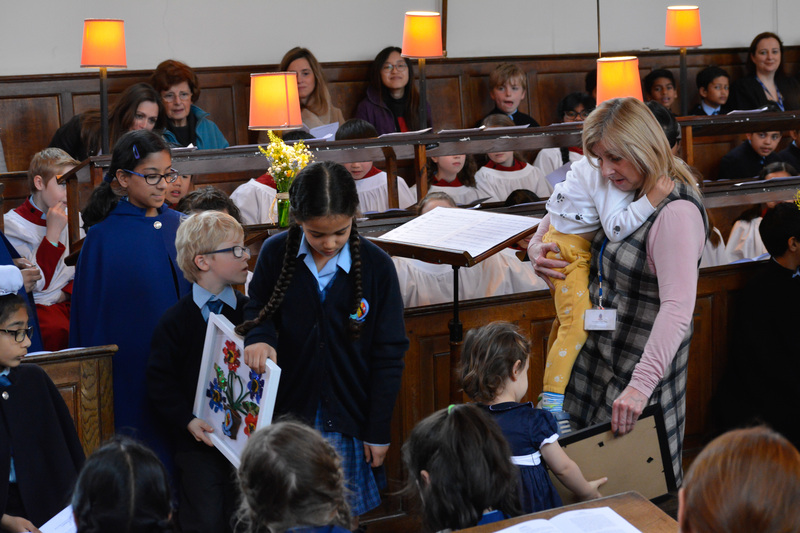 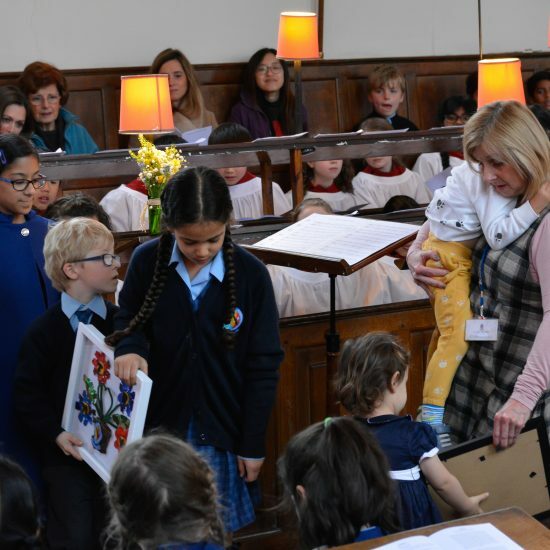 The chapel choir sang a beautiful setting of John Rutter’s Gaelic blessing, and pupils, governors and staff presented Becky with gifts representing different aspects of life at Blue Coat. 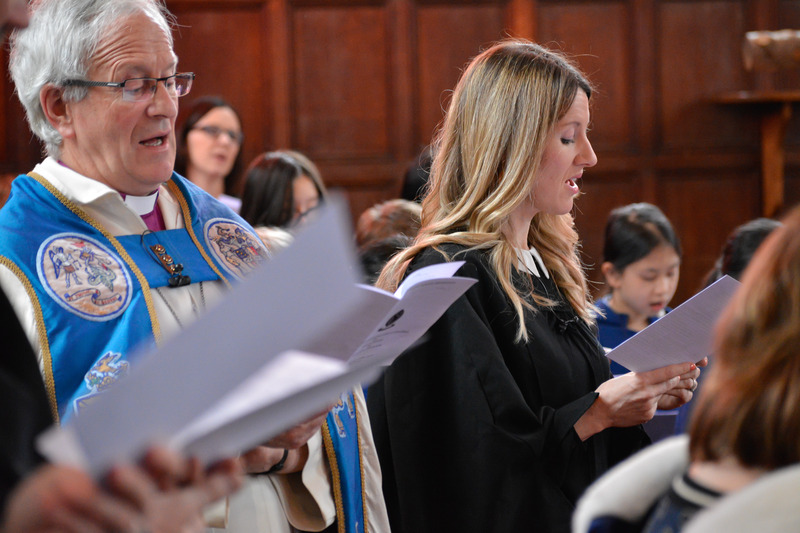 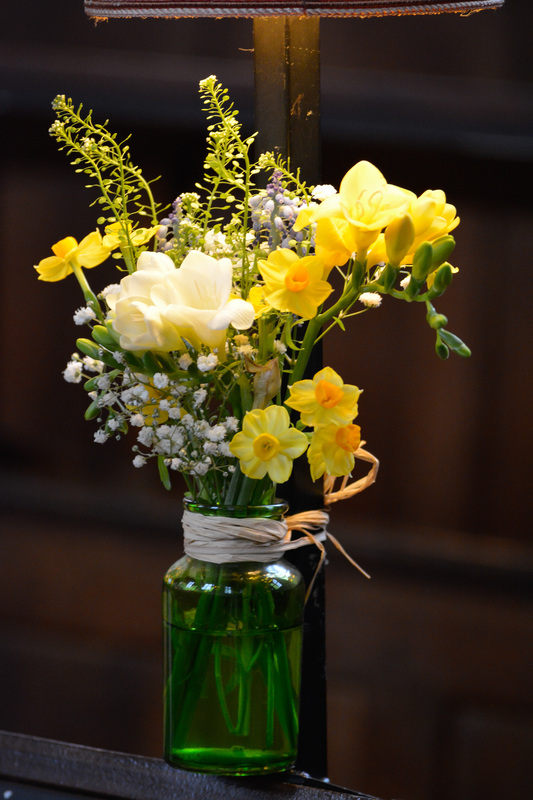 It was a beautiful and joyful occasion, which left us looking forward joyfully to Becky’s ministry as chaplain.